Nowadays, with the availability of free public Wi-Fi and unlimited data plans, it’s way easier to video call your loved ones and see them rather than simply hear their voice over the phone. Currently, there are over 340 million hours of video calls made on WhatsApp each day alone. This just goes to show how rapidly video calling is replacing our traditional voice calls. There is an abundance of video calling apps available on the Play Store but not all video calling apps are created equally. Some offer better video quality while the others might offer a few additional features while some might just not be up to the mark. 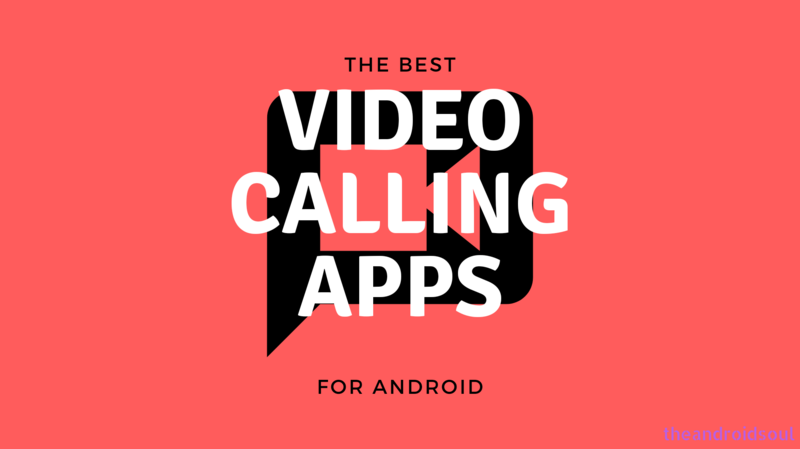 So to save you some time trying to pick the best video calling app, we’ve curated a list of the best video calling applications available on the Google Play Store. So without any further ado, let’s check out some great apps to place video calls. 7. Skype – Talk. Chat. Collaborate. 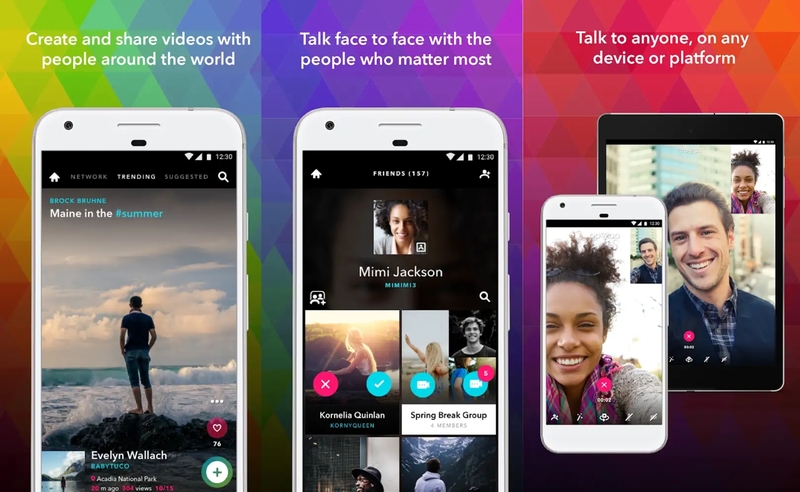 Here are the best video calling applications for Android. Note: Video call quality also depends on your network connection speed. Google Duo is easily one of the best video calling apps available. 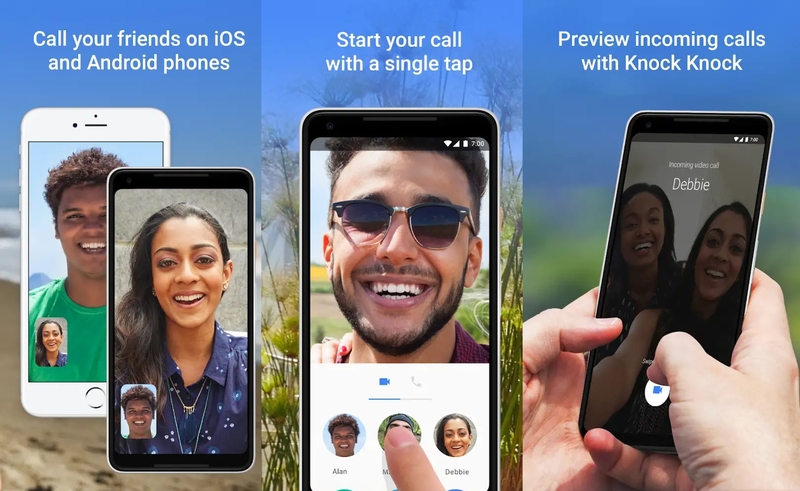 As the name suggests the application was developed by Google itself and offers a smooth video calling experience with great video quality as well. Using the application is pretty simple since the UI isn’t cluttered like most other video callings apps and you could begin a video call within a matter of seconds. 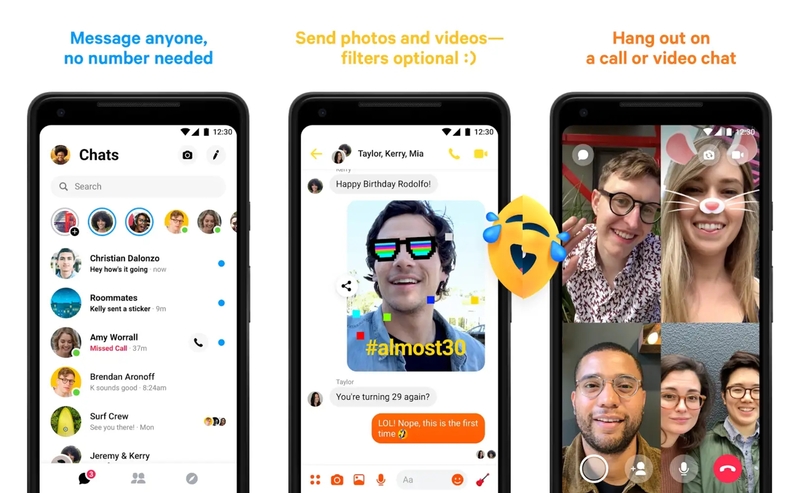 The video quality over Google Duo is quite good and you’d hardly experience any difficulties trying to place a video call since the app is pretty much bug-free. WhatsApp is the most popular messaging application in the world and is used in several regions. 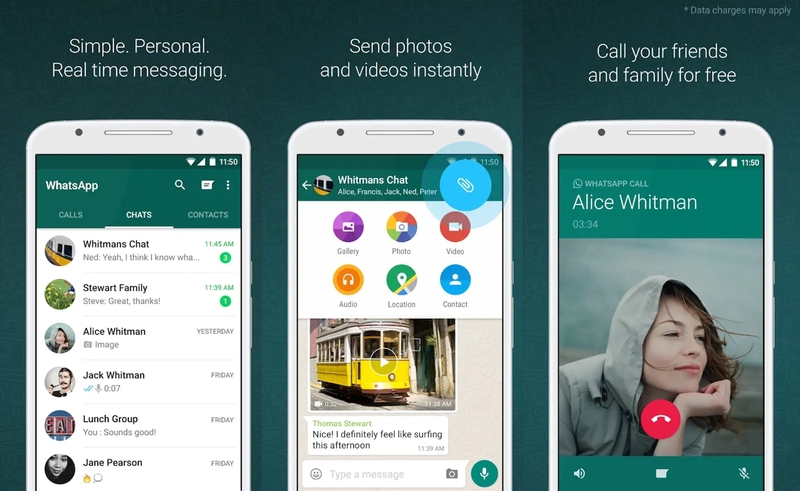 The application gained video call support a couple of years ago and now users have begun using WhatsApp to send and receive messages as well as place video calls. The best part of using WhatsApp is that most of your contacts already have the application installed on their devices hence you could begin a video call without having to worry if the other person has WhatsApp installed. ooVoo is another great video calling application which lets you have a 1 to 1 video call or you could also place a group video call with up to 8 people. ooVoo now also lets you send messages and videos to friends and is a multi-platform video calling app hence you could also place a video call to users who have the application installed on their PC. The video call quality is on power with WhatsApp and Google Duo hence you won’t be disappointed in that area. Almost every internet user has a Facebook account and probably have the Messenger application installed on their smartphones. The Messenger application by itself is packed with features and you could share GIFs and what not within the application. Coming to the video calling aspect, you could place a 1 to 1 video call or even start a group video call. In addition to the traditional video calling feature, users can also add cool filters to their own video while in a video call, making the experience even more fun. 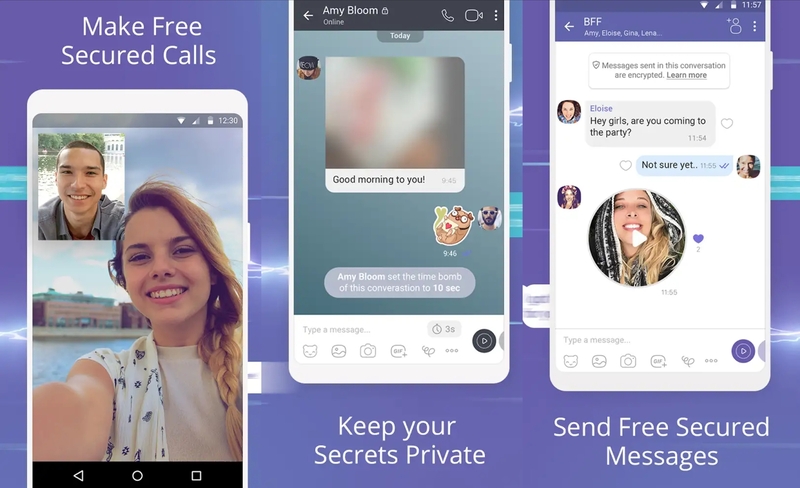 Viber is a great alternative to WhatsApp and offers a ton of great features for users to make the most of the application. Much like the previous application on the list, you can call anyone in your contacts who have the Viber application installed as well for free without paying for any subscription. The application also has a bunch of cool stickers and emojis for the times you might prefer to chat over placing a video call. 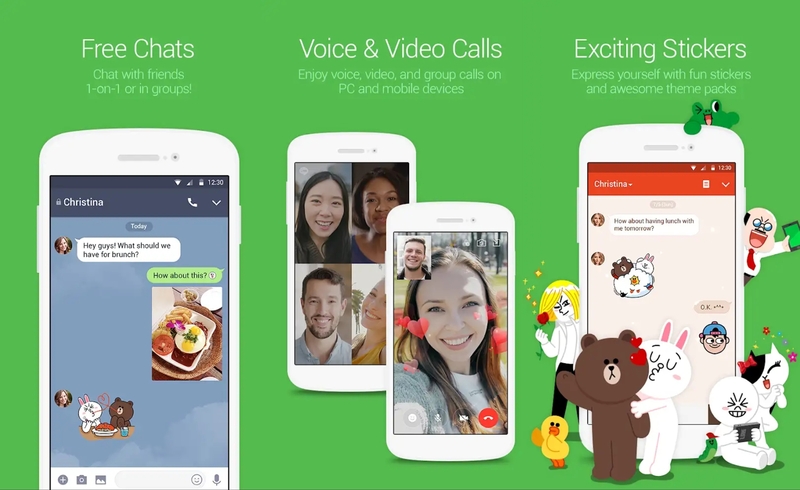 LINE is a fantastic application to chat as well as place video calls on and is the number one chat/video call applications in several countries. You can place your standard 1 to 1 video call; however, the application now also supports group video calling with up to 200 members, which is absolutely insane. The app also offers a great chat experience with a number of sticker packs and emojis. Now, how can we forget the OG video calling application Skype. Back in the day when video calling was just beginning to become a thing, Skype was one of the only few applications which let users place video calls. Skype has been available on Android for several years now and is still a great app to place video calls. The video quality is great and you could even place voice calls via the application. The only downside is that Skype just isn’t as fluid as some other apps on the list such as Google Duo. 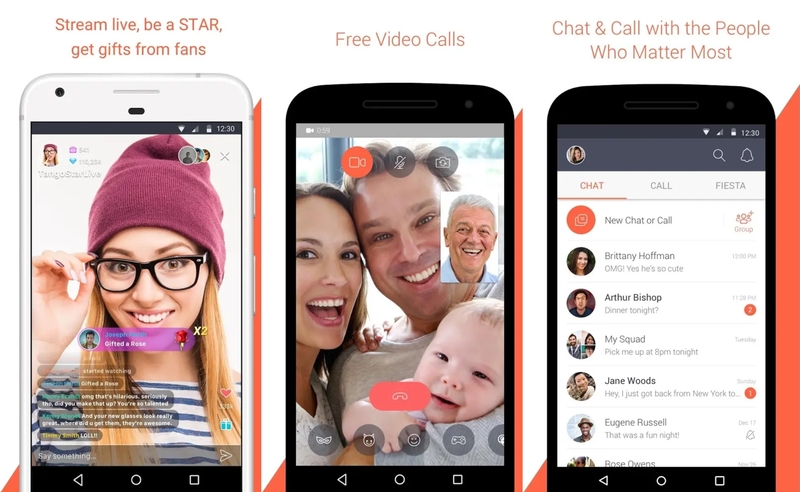 Tango was one of the first video calling applications to make its way on Android. The app has also got support for live broadcasting as well. You could add a bunch of cool stickers and filters while placing a video call which makes the app quite entertaining especially if you’re video calling your friends or family. The application is also quite reliable and does not have any major bugs. Here’s a fairly new video application which does what it’s supposed to do pretty well. You could place an HD video call to any one of your contacts who has the application installed on their device and the app does also support group video chat. You could also doodle away on the screen while in a video call which makes the app great for when you need to talk to kids via video call. YeeCall isn’t as popular as many other applications on the list; however, the app does have a lot to offer. The application’s purpose is to provide the video calling experience to users who live in regions where most video calling services are blocked. Using the application does not require one to run a VPN application too if video calling is blocked in their region. 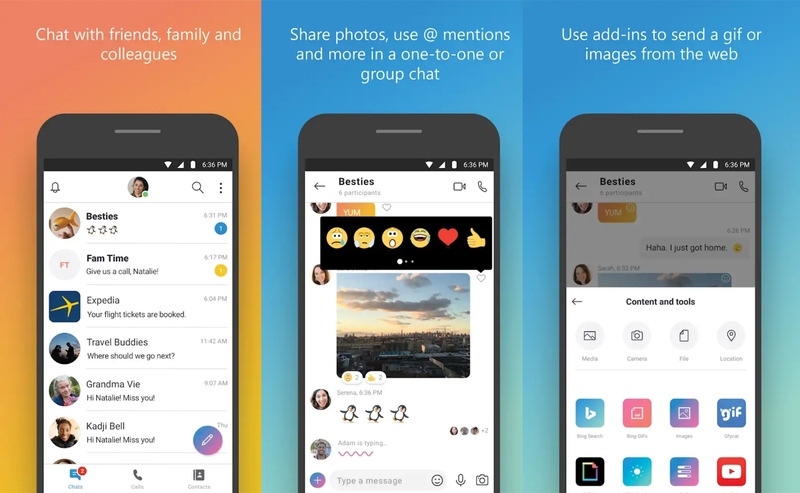 Users can also send and received messages via the application and the app even supports GIFs and stickers which are an added bonus. Which one is your favorite video calling app? Can you ever get bore of the minimal UI and cool feature set of Google Duo?